Have had Insight Pest Solutions for I think 2 years, not sure, but are very happy with the results this company has given us. We no longer have a problem with the ants. We will give anyone who needs help in this area Insight Solutions' name. 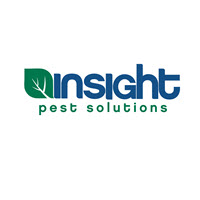 We are very happy with Insight Pest Solutions. Thank You. Good customer service. Anytime I have a concern they respond quickly. Less insects in our home that we noticed in the fall. Been with them almost 2 years. Great people, and great service. Good service. Always prompt and efficient. Very professional and do a great job listening to our concerns. Great service tech. Very pleased with the service!! This is a terrible Company! The treatments didn't work. I was lied to when I signed up. I sent a check for payment but they charged my credit without my authorization. Calling didn't help. Buyer beware. We are very pleased with service. All of your techs are very professional, but we especially like Jeff. They come when promised and follow-up to make sure that we are satisfied with their service. If we have any problems between their quarterly service trips, we can call them and they will show up almost immediately to rectify the problem at no cost to us. You really can't beat their service! Great service at my home...poor call center experience recently. He did an excellent job of spraying and setting a bait trap for mice. Was very happy with visit. Had vary professional and efficient manner. As I said in my original review of Insight service visits, so far I'm very pleased with the service, and the techs who perform it. We have been bug and critter free as a result of your strategic trap placement. We sincerely hope the success in keeping our home pest free continues! Haven’t had anymore problems with ants and spiders since we started using Insight Pest Solutions to spray our house inside and out! Only issue was what was exactly covered, it's been cleared up and we are satisfied. My husband and I are very happy with Insight Pest Solutions. The technicians who visit are always professional, courteous and helpful. They patiently answer our questions and always do a through job. Our family is very pleased with Insight's service. I am pleased with your service. I previously replied to a questionnaire re your recent service. I think once is enough. TY. We really appreciate the good work and results we received. I am continually impressed with the politeness and professionalism of every person I have met and/or talked with at this company. Every technician who has come to service my home home has been a pleasure to deal with. I absolutely recommend Insight Pest Control! Nice job. Haven’t had ants in the house since your visit. very thorough service and wonderful technician. I was very happy with both of the techs that came for our recent visit. Used Insight for the first time 2-3 weeks ago. So far so good. I have not seen any spiders, ants, other bugs around the house. It's early but all indications are pointing that their products work well. Sales Rep/Owner was pleasant stopping by the house as well as was the service person. I would definitely recommend Insight. Matt. Everything is excellent except for the stinkbugs it seems like they can’t be controlled. Technicians are always friendly and courteous. We have been ant free since using your service. Thanks! So far your service has been good and it seems to be taking care of the insects around my home. I appreciate being called ahead of time letting me know when to expect you. My experience with Insight was top of the line. Calvin was very helpful and found a wasp nest I hadn’t seen. service was great, the two gentlemen who were here were friendly and courteous and neat. so far so good no Bugs.